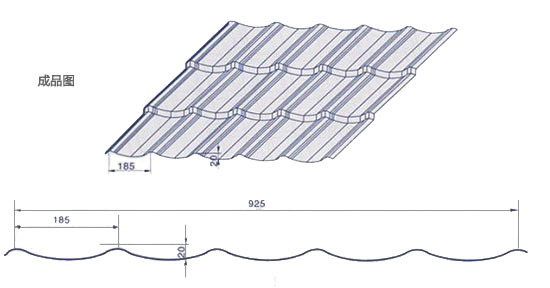 The archaistic tile sheet is rolled and pressed by the WLTM series modular tile sheet roll forming machine, it has many features, such as good appearance, primitive simplicity and elegance, unique style, noblest grade, and etc. It is widely used in garden style factories, scenic resorts, pavilions, hotels, villas, exhibition halls, country clubs, and so on for outdoor decorations. 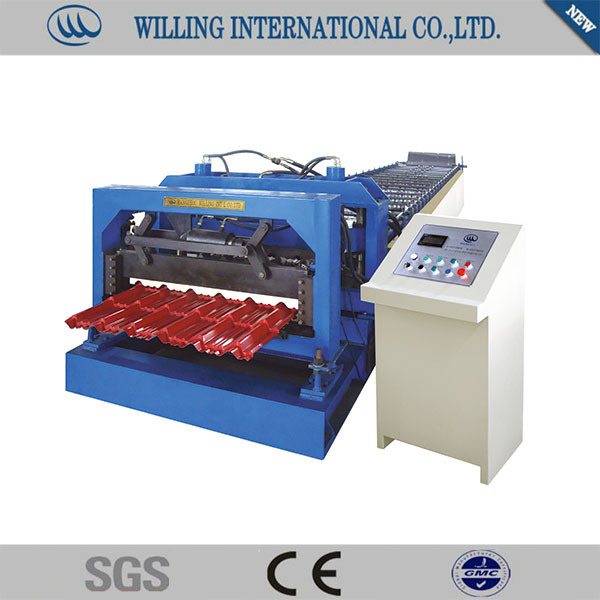 WLTM series modular tile sheet roll forming machine consists of uncoiler and its base, infeed guides, fixed position driven forming stations, pressing die, shearing device, hydraulic station, PLC control console and so on. Our company has dozens of profile models for this series roll forming machine, such as WLTM25-183-1100, WLTM28-207-828, and etc. We can design different kinds of profile and fittings for machine, as per customers' requirements.